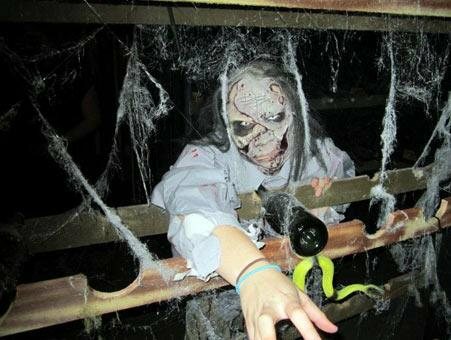 Haunted House of Horror to Stir Up Serious Scares this Halloween Season! Check Out What's Happening this Halloween Season at Haunted House of Horror! AlabamaHauntedHouses.com recently sat down with Brian Knipper of Haunted House of Horror, to discuss what's new at Haunted House of Horror for the 2017 Halloween Season! Located in Courtland, the Haunted House of Horror will be presenting "House of Dolls" this year and will be opening their doors to thrill seekers on Friday, September 29th! What's new at Haunted House of Horror for 2017? Do you have any new rides, attractions, or special features that Haunt Seekers should know about? Yes, we have added new rooms , costumes, actors and theme for the 2017 season . Our theme this year is the HOUSE OF DOLLS, We are very excited to have Bennett BBQ as our vendor this year also. Our paintball has changed from zombies to killer clowns for the 2017 season. We have also completely changed many of the rooms from past years to fit our theme this year. So we are very excited to get this season started! Really excited to see how our customers react to all the changes we have made. We can hardly wait to see our returning customers as well as new faces for this season. I believe our team is one of the best in the business. I have always believed that you can have most expensive props and costumes in the world, but if you do not have the right people the haunt will suffer. Even though we have some of the best props and effects that money can buy ,Our Actors are what makes our haunt one of the best in the southeast. Haunted house of horror opened in 2011 in the old Courtland high school in Courtland Alabama. The haunt was built with customer interaction in mind. We work on this haunt year after year to make it bigger, better, and more exciting for upcoming seasons. My favorite experience has to be following customers through the haunt and watch their reactions to different scares throughout the haunt! I love to watch the big tough guys who lead the group in and by the third room they are hiding behind their wife or girlfriend. I have to say that customer interaction is my favorite experience year after year. 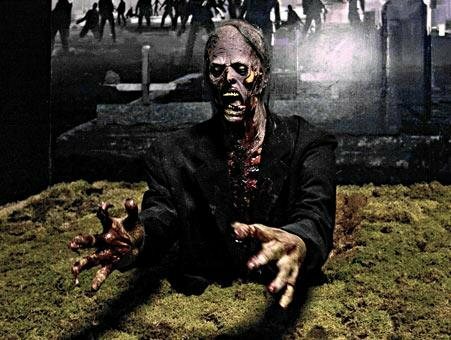 On average it takes about 30 minutes to walk through the haunt and 20 to 25 minutes for the paintball course. I would have to say 9 because there is always room for improving, but we are without a doubt one of the scariest haunts in the south. We use every angle that you can think of (and some you don't) to make sure that you get more than what you pay for when you leave our haunt. Our number one goal is the quality of the experience for each customer. Well, let me just say that I was very skeptical about the paranormal and the afterlife until I started working here. There are stories about the principal here that took his own life at the school. After researching these claims I did find that he indeed did take his own life but the location is unknown. What I can tell you is that I along with the other owner and many of our actors could tell you many stories about activity in this building. During this past year while working at the haunt with just me and my partner present in the building we have heard footsteps, voices, doors opening and closing, but one experience that sticks out in my mind was one night about 10 pm we were working and it started storming knocking our power out, so we decided to walk through the haunt and check for roof leaks and wait for the power to come back on so we could resume our work. We were walking into a room we call the funeral parlor, I started talking to her about ghost, I asked her if she believed that it was possible that they exist, etc. so I told her to just ask a question to see if we would get a reply, we laughed and joked about it and she said in a loud voice "if there is anyone in the room with us can you make a light come on" and without hesitation one of our lights came on for about 10 seconds and went back out, LOL, that is just one of many things that we have experienced in this building. I can remember when I was a child my mother came home and decorated the house with some fancy little props from dollar general or Wal-Mart and I thought that was the greatest thing I had ever seen, lol so I was instantly addicted to Halloween and anything to do with the holiday . As I grew up I guess the child is still in all of us as I and everyone that works with us loves Halloween, horror films or anything else that has to do with Halloween. We eat, breathe, and dream about Halloween 365 days a year. Props, lighting and audio make the haunt feel like you are inside of a horror movie, that is our goal to make sure the customer is taken into a different world (our world) and you can obtain this effect with the right lighting, fog, animatronics etc., We are always looking for new ways to scare people or get that wow effect and some of the new props or animatronics help us obtain that goal for sure. We try to keep groups below 8 or so to make sure every single person in the group gets the full effect of the haunt. We do not try to herd them in like cattle because our number 1 goal is to make sure that every single person that leaves our property will say that this is the best haunt they have seen all year! Yes, we offer discounted coupon flyers as well as group discounts and online discount codes throughout the season. We will also be using Groupon this season . We also participate in the Halloween for hunger, if you bring 3 cans of food items you get 5 dollars off your ticket. 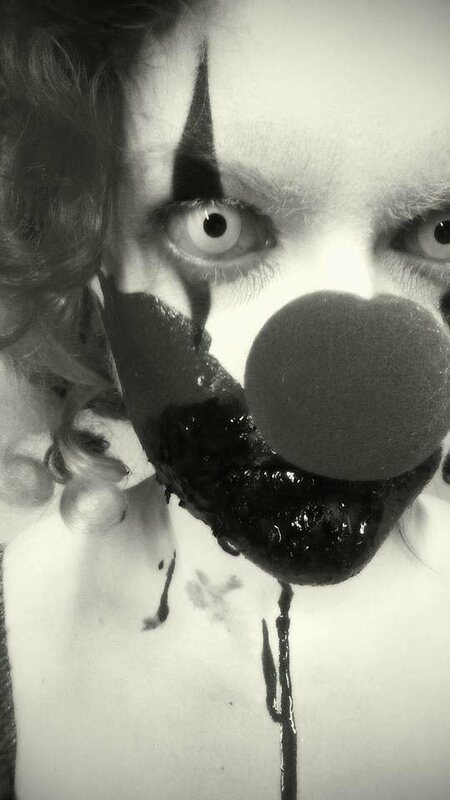 The only thing I would like for people to know is that if you visit our haunt you will not be disappointed. When you come to the Haunted House of Horror you will get your money's worth. We strive each and every year to make sure our fans get more than they pay for. That is our number 1 goal. We also participate in the HALLOWEEN FOR HUNGER which is a great program. The customer brings 3 cans of non-perishable food items and gets 5 dollars off their ticket. It's our way of giving back for a great cause.